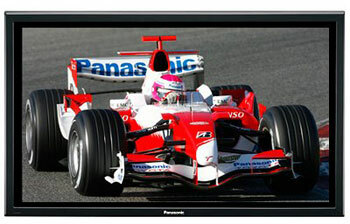 All Panasonic professional plasmas are known for their world-class image quality, and the TH-103PF12U is no exception. This unit will have an improved contrast ratio of 40,000:1 (2,000,000:1 dynamic) ? improved from 5,000:1 in the previous model, and the ability to display the equivalent of 6,144 steps of gradation (improved from 4096 steps), providing deep black levels and accurate colors that will give the image a higher level of depth. In addition to the improvements in video performance, these new models feature Panasonic?s own Function Slots which lets users add up to three different terminal boards to offer a higher degree of expandability ? necessary for commercial displays to allow flexible system extension. Improvements on this model include the new NANODRIFT screen saver function that reduces image retention four times more effectively than previous systems, and new LAN Control support (using optional terminal board TY-FB12LC) that allows the display to be remotely controlled and monitored via a network. It supports Class 1 of the ?PJLink?? LAN control, compliant with the industry standard projector specifications, which allows the system to be configured via an existing network. The Panasonic TH-103PF12U features NeoPDP technology, boasting doubled luminance efficiency and enabling the display to be larger, thinner, lighter, and more energy efficient. 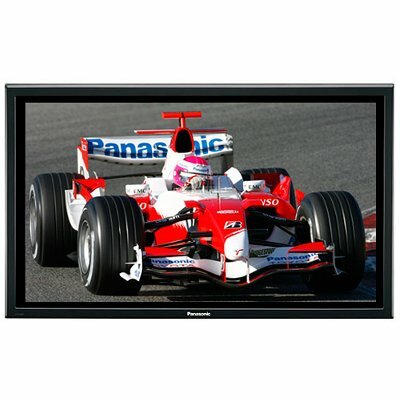 The Panasonic TH103PF12U103-inch full high-definition plasma displays boast an impressive screen size of 89.3 inch x 50.2 inch. Power requirement for this unit is 220-240V AC (consumes approximately 9% less power than previous version). The Panasonic th-103pf12u is equipped with three interchangeable slots-provide flexible and powerful system solution by adding/exchanging wide variety of optional slot-in boards.